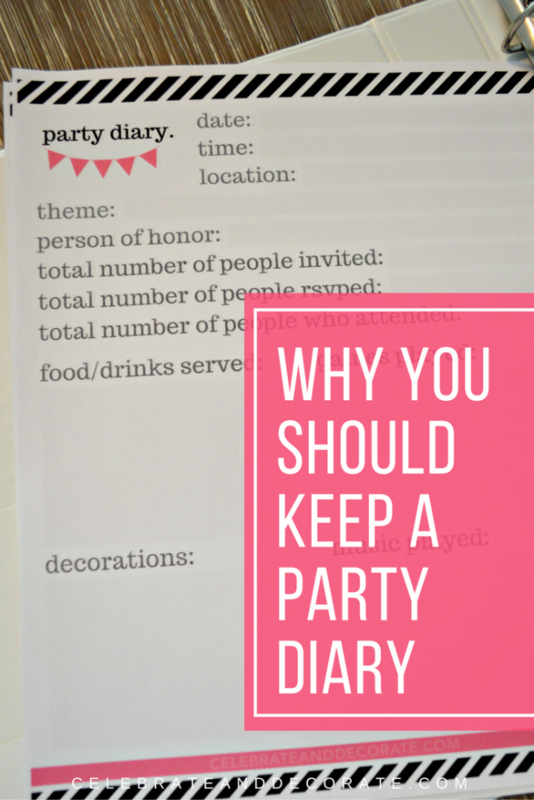 I keep a Party Diary, and today I am going to show you why you should keep a party diary too! 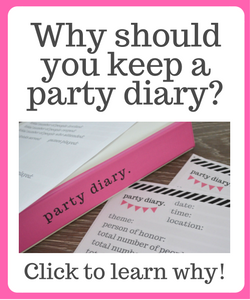 For some time now I have been giving away a free download of my party diary pages if you subscribe to Celebrate & Decorate. If you are one of my dear subscribers who has been around since before I began the giveaway, you will be receiving an email with a link for the free download. 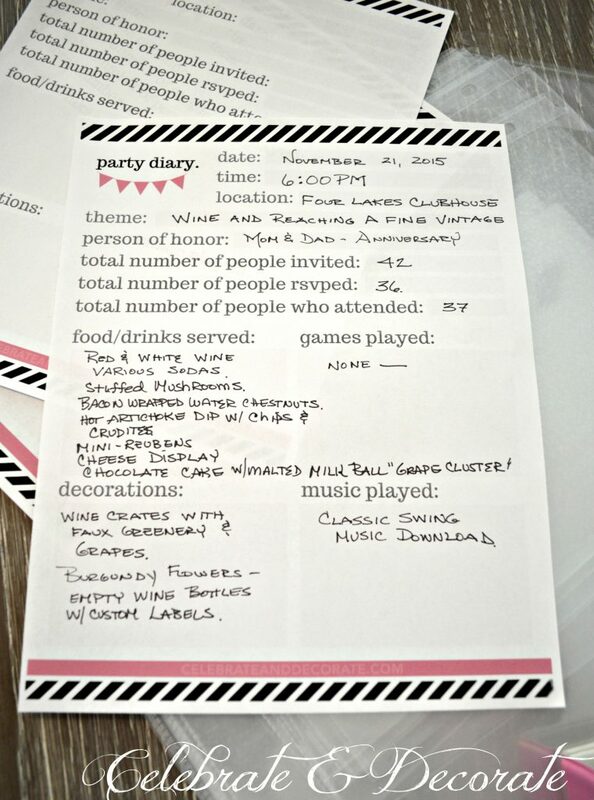 My Party Diary is a place where I keep all of the details of a party recorded, both to reference while I am planning an event. The most important time to reference my diary is when I am planning a new event. 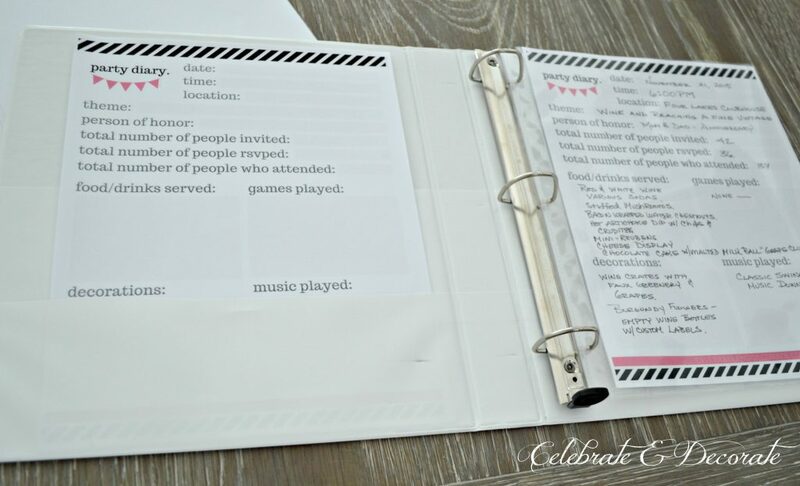 These easy to use sheets keep a record of any event I host. 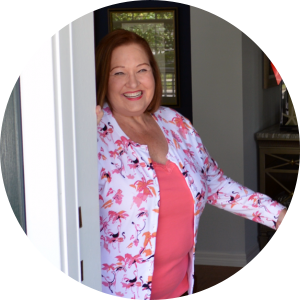 It doesn’t matter if it is a birthday party, a dinner party, a cocktail party or who knows what, I want to be able to open up my Party Diary and double check who I invited and what I served the last time I entertained. Keeping a Party Diary prevents me from inviting the same couple to a dinner party and serving them the same menu I did the last time! No matter how delicious they found my meal, I don’t want them to think it is the only thing I know how to prepare. 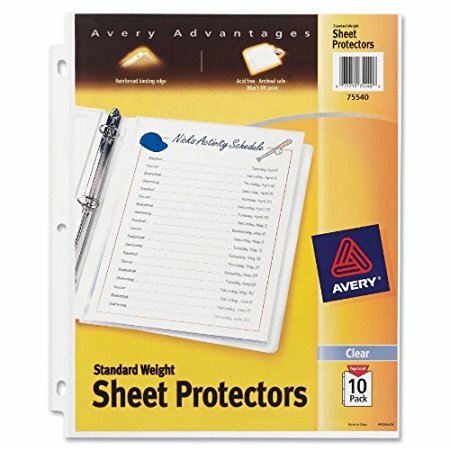 I keep my printable sheets in clear sheet protectors and put those into a three ring binder I created over at Zazzle. 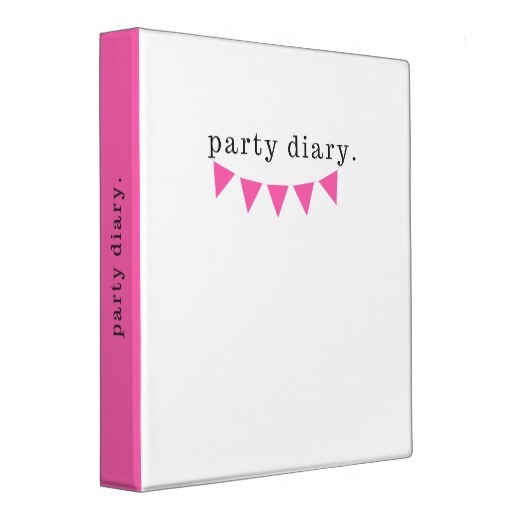 If you want to get a binder to keep your diary in you can find it at Party Diary Binder. 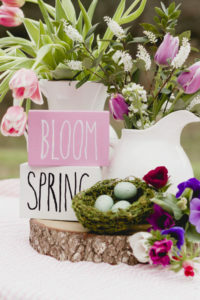 By keeping my sheets in the clear sheet protectors, there is a place to tuck paper invitations, programs and additional notes behind the printable. Everything is in one handy place. I hope you take advantage of this free download and print out some of these for yourself! You never know when you might want to look back at the details of a previous event. It is so nice to have a record of my parties, big and small! 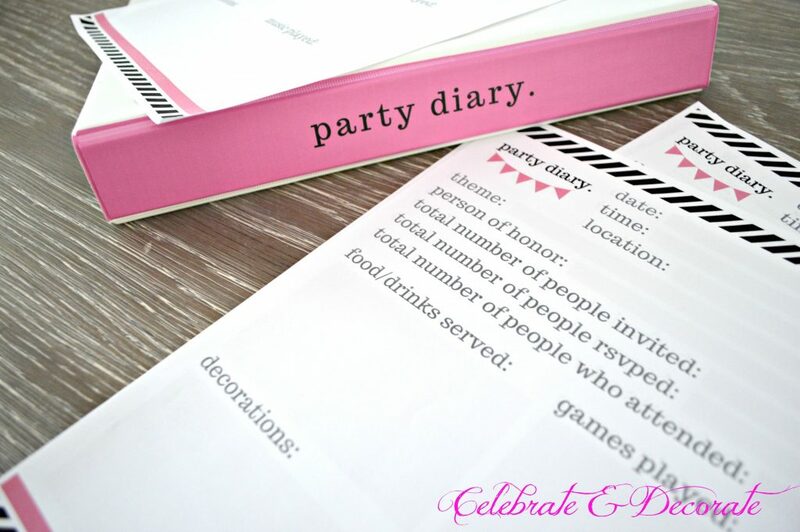 Ready to download my party diary printable? All you need to do is subscirbe via email below and you’ll receive an email shortly after with a link to download! Enjoy! Thank you for the download Chloe. 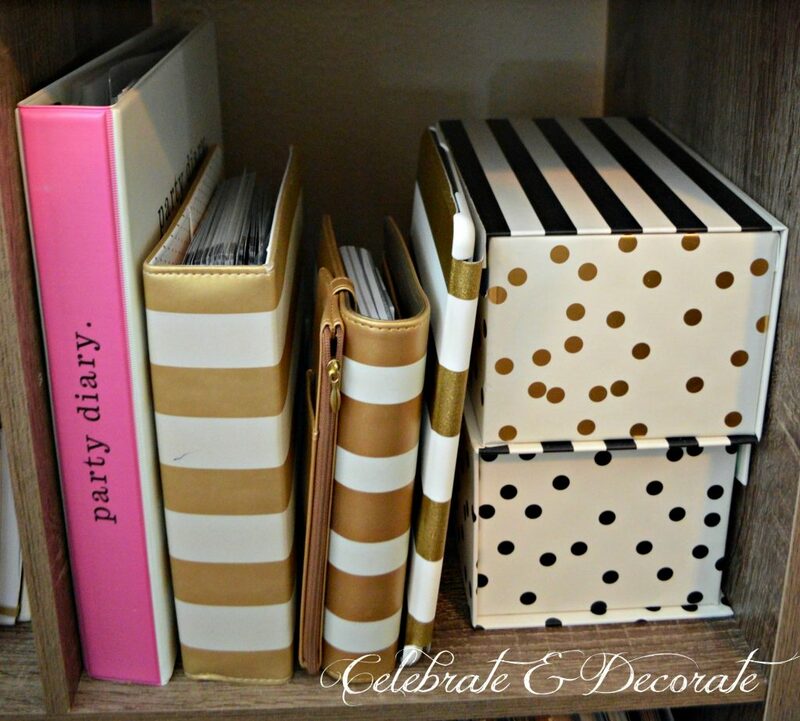 PLEASE share where you got your fabulous Black, White and Gold goodies on that shelf!!! LOVE!!!! Oh, thank you Jeannie! I have picked them up from a variety of locations, Hobby Lobby, Michael’s and Target! I will do a post soon on my office space and share more details! Wow, you are organized. I have menus on index cards of parties stuck in the back of my recipe box from years ago. We used to have bridal coffees, showers, receptions all the time. It is handy to pull out for ideas. Thanks Bonnie. I just have hosted so many events over the years, I learned a long time ago I need to have my details in one place! Chloe, for sure, you are organized! Thanks for sharing…I need to get started! Happy Saturday! I love this idea, Chloe. Not only does it help you be organized, it’s a fun journal of times past. Thank you Stacey, it is great to look back for inspiration, when I need some ideas to recycle after several years, too. I often keep notes on my computer and a few in my phone but sometimes writing things down the old-fashioned way speaks volumes. Thanks again. Oh, Sandra, I am just like you, I would like to keep it all on my computer, but find I am much better with paper and pen, still. This is a great concept. Usually by the time the party’s over, I want to collapse or pour myself a cocktail (esp. if the party is for kids!). Visiting from Bouquet of Talent party. Oh, thanks Victoria! I usually feel that way, too! Great idea Chloe! I have tried to do something like this in the past, but I love your download. Thanks Dawn, it keeps at least that little party of my life organized! 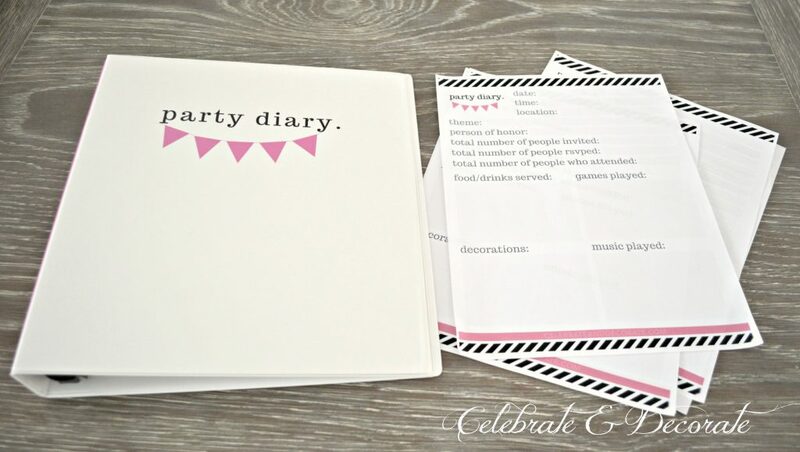 Chloe, what a great idea to keep a party diary!! 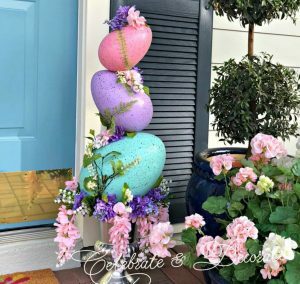 It shows a lot of thoughtfulness for your guests. Thank you Keri, it has worked well for me over the years! I’m new subscriber of your blog’s from India. Welcome! I am delighted to have you here!